You can take losing for only so long. After three straight losing seasons, with 1958 being their worst, going a combined 1 - 8, the 1960 Golden Gophers were fed up. 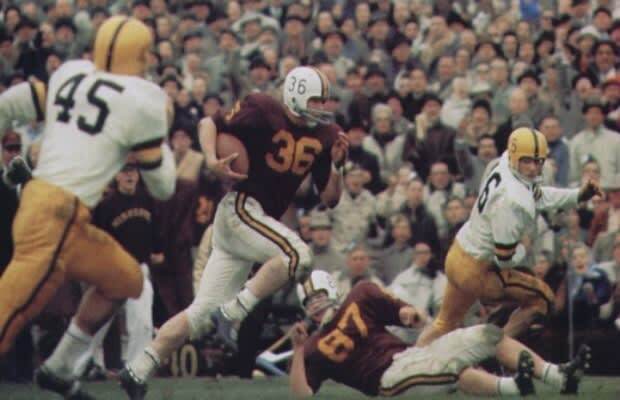 With a slew of veteran players like First Team All-American Tom Brown, Minnesota started the season, 6-0, beating top ranked teams like Iowa and Michigan before losing to No. 1 Purdue. The Gophers would go on to win the National Championship, but would lose to Washington in the Rose Bowl, going 8-2 on the year. They may not have gone undefeated, but they turned around a sinking ship without overthrowing the captain. Lesson learned, never question the heart of a champion.